Patriot has released new SSD series called Hellfire. 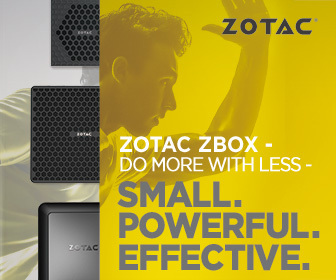 Like the name suggests, it’s not a standard SSD. It’s the best performing Patriot SSD designed for all those who need more than just an average SSD speed. Reviewed version of the Hellfire SSD has 240GB capacity and is designed to work in M.2 PCIe 3.0 x4 slot which is available in new laptops and higher series desktop motherboards. There are also PCIe cards which let you to use M.2 SSD so there are various ways to install Patriot Hellfire. 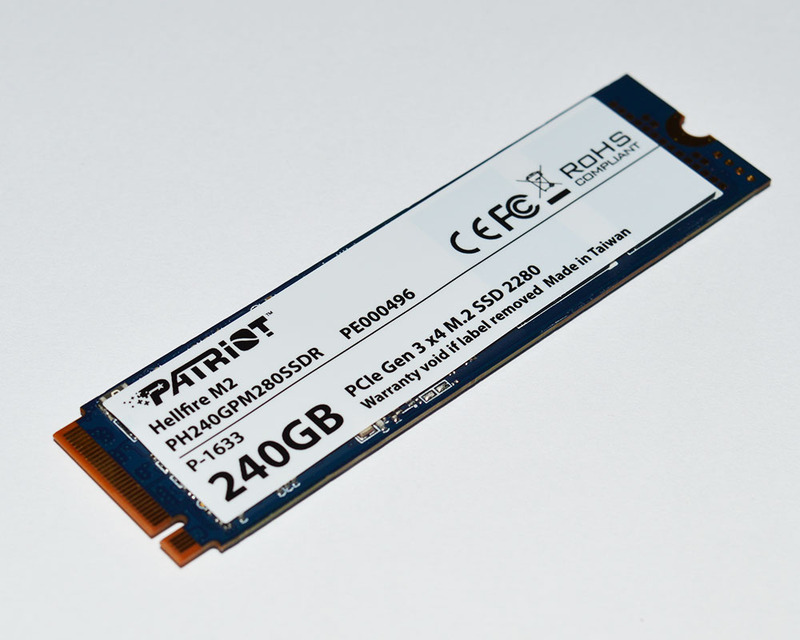 Those users who are interested in NVMe SSD probably already saw Patriot Hellfire around the Internet. Those who see it for the first time will be probably interested what the Hellfire SSD has to offer. I won’t make this introduction any longer but will tell you it’s worth to read our Patriot Hellfire 240GB M.2 NVMe SSD review. The Patriot Hellfire M.2 Next Generation Form Factor (NGFF) SSD is the perfect solution for consumers and professionals looking to get blazingly fast start up times and instantaneous access to their data for better productivity and reliability from their SSD. Powered by the Phison® 5007 controller, the Hellfire M.2 uses an ultra-fast PCIe 3.0 x 4 (up to 32Gb/s) NVMe 1.2 interface to deliver read and write speeds of up to 3,000MB/s (read) and 2,400MB/s (write) that are up to 4x faster than SATA SSDs. To ensure the Patriot Hellfire M.2 SSD provides rock-solid performance, static and advanced wear-leveling, advanced garbage collection, TRIM support, bad block management and S.M.A.R.T technologies are built in. At 22mm wide by 80mm tall (2280), the Hellfire M.2 is the best solution for all-in-one PC kits, notebook upgrades, or small form-factor, high-performance gaming PC builds. Backed by Patriot’s award winning build quality and 3-year warranty; the Patriot Hellfire M.2 SSD delivers one of the most reliable choices in performance class SSDs. On the next page we will take a closer look at the specifications, features and design of the Hellfire 240GB SSD.